Here’s a two minute video that should get you through Wednesday (Hump Day) better than 10 espressos. Substitute: hockey players with entrepreneurs, hockey with business, and them (Russian Team) with your competition. Last line should make you start running in place! (clip from the movie: Miracle). This is pretty inspirational. I don’t subscribe to never quitting but I do feel most people quit prematurely. 1816 – His family was forced out of their home. He had to work to support them. 1818 – His mother died. 1832 – Ran for state legislature – lost. 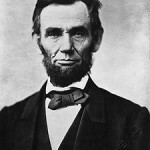 1832 – Also lost his job – wanted to go to law school but couldn’t get in. 1833 – Borrowed some money from a friend to begin a business and by the end of the year he was bankrupt. He spent the next 17 years of his life paying off this debt. 1835 – Was engaged to be married, sweetheart died and his heart was broken. 1836 – Had a total nervous breakdown and was in bed for six months. 1838 – Sought to become speaker of the state legislature – defeated. 1840 – Sought to become elector – defeated. 1846 – Ran for Congress again – this time he won. 1849 – Sought the job of land officer in his home state – rejected. 1854 – Ran for Senate of the United States – lost. 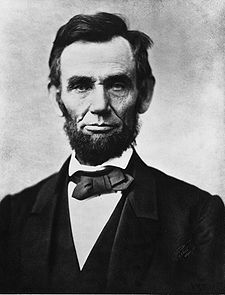 1856 – Sought the Vice-Presidential nomination at his party’s national convention – get less than 100 votes. 1858 – Ran for U.S. Senate again – again he lost. Note: The Abraham Lincoln didn’t quit list has been printed countless times.